Robert J. 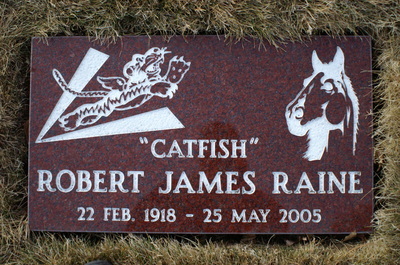 “Catfish” Raine was born on February 22, 1918, in Palisades, Nevada. 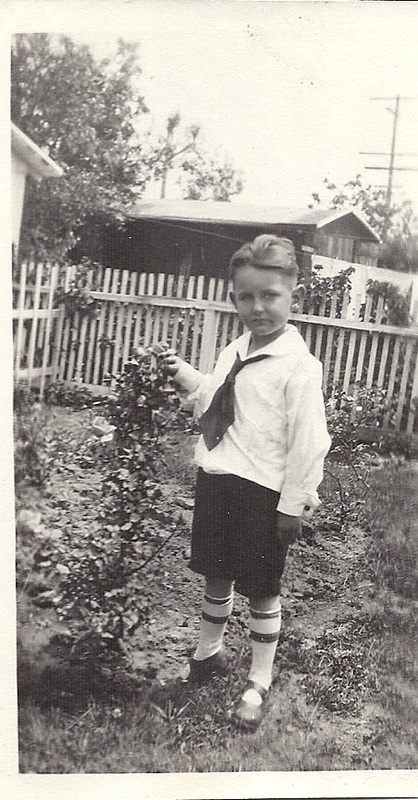 He grew up on his family's ranch in Pine Valley in northern Eureka County, Nevada. After attending San Francisco City College, he entered the United States Navy in July, 1940, earning his wings at the Pensacola Naval Air Station, Florida. After receiving his wings of gold, he began his operational flight training in carrier type aircraft. He later flew carrier based torpedo bombers, and was assigned to Torpedo Squadron 3 (VT-3) aboard the USS Saratoga (CV-3). 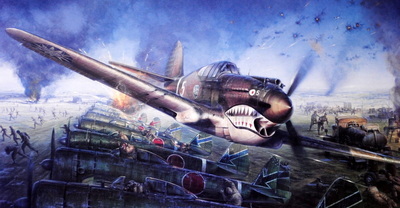 After logging 90 hours flying Navy fighters, he heard of an opportunity to fly combat fighters in China with the American Volunteer Group, also known as “The Flying Tigers”. 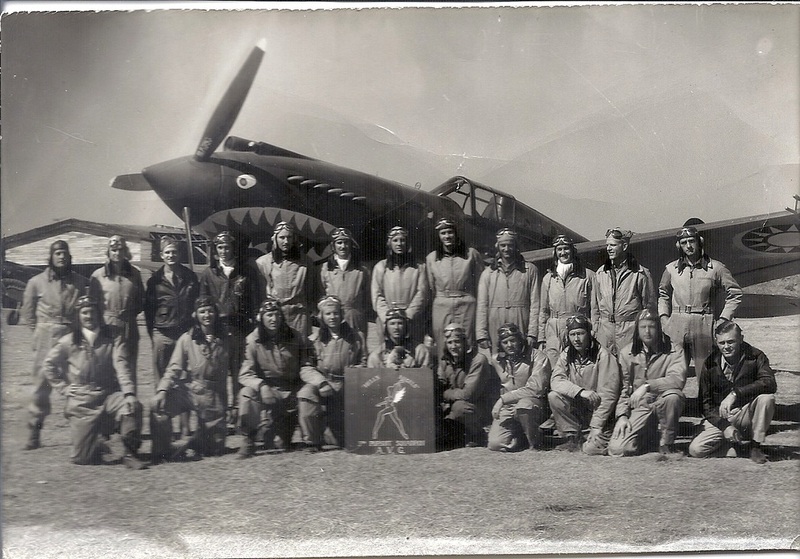 In mid-1941, he set sail on the ship “Klipfontein” with nine other pilots, arriving in Rangoon on October 29, 1941, and was assigned to the 3rd Pursuit Squadron, known as the “Hells’ Angels”. On Saturday, April 25, 1942, he shot down two Japanese Mitsubishi Ki-15 “Sonia” over Loilem. 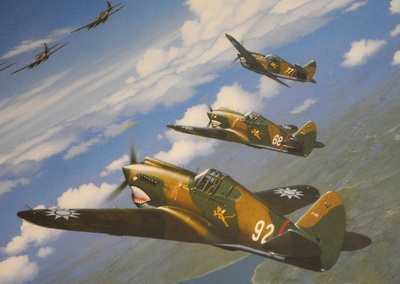 On July 3, 1942, the last service day for the Flying Tigers, he shot down a Japanese Nakajima Ki-27 “Nate” near Nanchang. As a Flight Leader in the 3rd Pursuit Squadron, he was credited with 3.20 air-to-air victories. 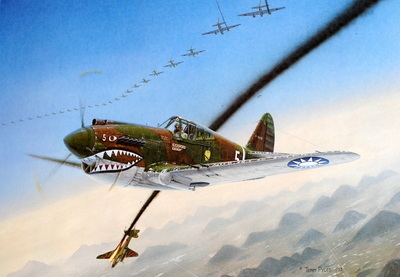 On July 4, 1942, the American Volunteer Group passed into history, and Mr. Raine was one of the AVG pilots who volunteered to stay an extra two weeks to help train incoming American United States Army Air Force (USAAF) pilots for the newly formed 23rd Fighter Group, flying P-40s (specifications). After his brief tour with the 23rd FG, Mr. Raine, along with seventeen other Flying Tigers, joined the China National Aviation Corporation (CNAC), flying supplies between India and China. 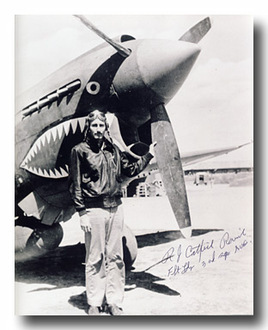 He flew 443 hazardous missions over the Himalayas, also known as “The Hump”, until March of 1945. 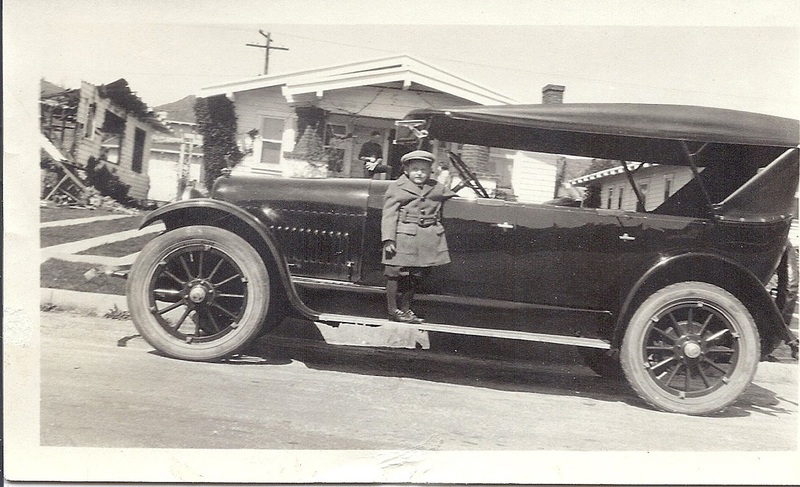 After the war, he returned to the United States and was one of ten original investors who organized the Flying Tiger Lines, which in time became the country’s largest air freight carrier. He stayed with the operational side of the airline, becoming a captain and one of the company’s most senior pilots. Mr. Raine logged more than 32,000 hours of flight time during his career, from propeller driven Navy trainers to jet powered transports. He retired from the airline in 1978, and once again called Nevada his home. He had raised champion Arabian racing horses since 1962. 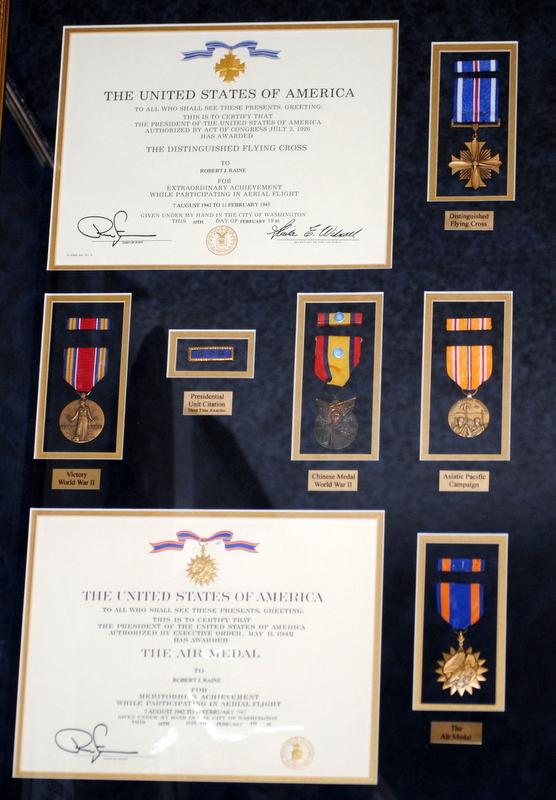 He was decorated with two Distinguished Flying Crosses, Air medal, Chinese 3 Star Wings, and Chinese Cloud Banner. He passed away in Reno, NV on May 25, 2005. A distant relative of Catfish was in the Donner Party on his Mother's side, the Breen family. 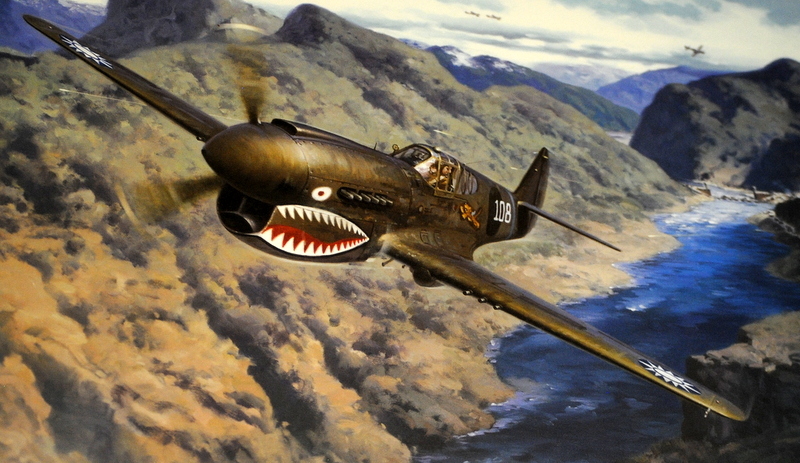 Mercury Air Group was founded in 1956 by three members of the legendary, World War II, First American Volunteer Group (AVG) Flying Tigers—Thomas C. Haywood, Robert P. “Duke” Hedman and Robert J. “Catfish” Raine. Mercury Air Group provides jet fuel, air cargo services and transportation as well as support services for international and U.S. commercial airlines, general aviation and the U.S. government. Owned and raced Arabian horses from 1962 until his death in 2005. Several of Catfish's horses still have track record standings in California. All of the horses he bred have names preceded by P.S. (Purple Sage) which was the name of his ranch and stable. 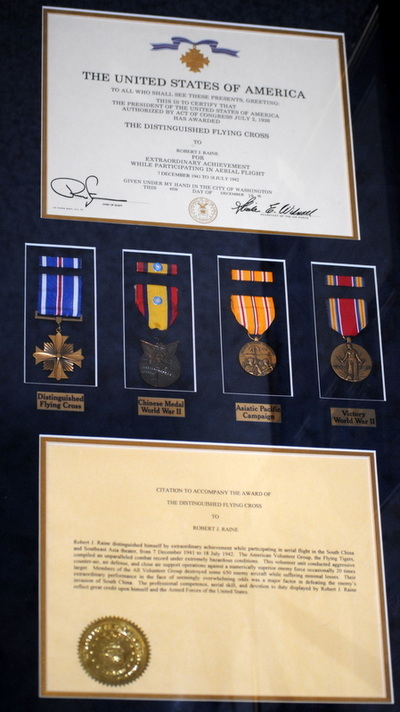 Tent of Honor Award 2002 - highest national award in Arabian horse racing. Below is a link to download a more complete obituary. Come see our signed prints from the Flying Tigers and "Catfish's" medals and awards. 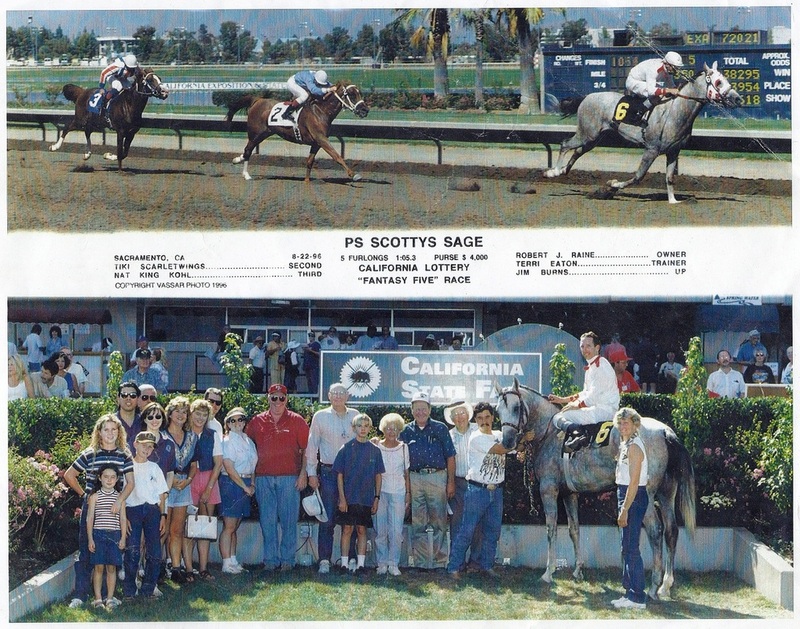 One of Raine's Arabian race horses, PS Scottys Sage, winning its race in 1996.